Become a one stop shop for the construction service industry. CCC Group started with Capital Cutting and Coring Limited in 1986 with two founding partners: Guy Vezina and Simon Delorme. Since then, the company has grown it’s divisions to include not only cutting, but drilling, scanning and Construction. Thousands of projects have been completed for hundreds of clients and we are proud of all the great milestones we’ve helped create in the community. CCC Group has completed numerous projects including works for architects, civil engineers, private interests as well as for cities and other governmental bodies. Project scopes of work have ranged in size from a few core/bore holes to extensive explorations for highways, bridges and multi-story structures, etc. CCC Group has performed concrete placement and scanning for numerous foundation construction including schools, hospitals, commercial buildings, shopping centers, recreational areas, underground utility improvements, roadway and bridge projects. Matt's foundation is in the Geotechnical and Environmental Drilling field where he acquired over 25 years of experience. He became president of CCC Group of Companies in November 2017. Dave is involved with the day to day operations from running projects, to staff, equipment, purchasing, and overall operations of CCC group. He has been with the company since 1992. CCC Group started with Capital Cutting and Coring Limited in 1986 with two founding partners: Guy Vezina and Simon Delorme. Since then, the company has grown it’s divisions to include not only cutting, but drilling, scanning and finishing. Thousands of projects have been completed for hundreds of clients and we are proud of all the great milestones we’ve helped create in the community. Located at the west end of Pinecrest Mall, Canada’s largest IKEA (at the time) was built in Ottawa with 398,000 square feet of showroom, market, warehouse, administration, shop and restaurant space distributed throughout two floors. The building incorporates such sustainable initiatives as water-conserving plumbing fixtures, and skylights to reduce the need for artificial lighting. Lansdowne Park underwent revitalization to become a pedestrian-friendly urban village. 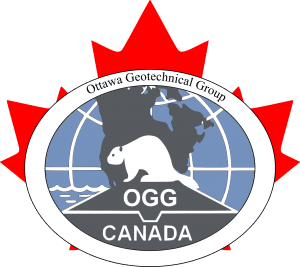 CCC Group assisted the rehabilitation of the TD Place Stadium, home of the Ottawa 67s, a junior league hockey team, the installation of over three km of various underground services, and The underground parking area. With a seating capacity of 18,500, the Canadian Tire Centre (CTC) is the largest enclosed sports and entertainment facility in the region, and home to the Ottawa Senators Hockey Club. Located on a 50-acre site in the west end of Ottawa, Tanger Outlets Kanata is a nine-building development of 80 stores totaling 337,000 square feet in retail floor space. It is designed in the “racetrack” style, with a primary access road and parking surrounding a pedestrian-friendly central core of buildings.